First you must find the interview you would like to hear. You can do this either by selecting the INTERVIEWS button above or by doing a search. If you know who you want to listen to, put the cursor on the INTERVIEWS button and you will see a list of the people we have interviewed organised by surname. Clicking on a person will take you to to the interviewee’s page. This has a a detailed summary of the interview in text form plus a number of audio tracks. Decide which bit of the interview you would like to listen to. Most interviews are divided into tracks and you can select which tracks you want to play. Put on the headphones and press the play button. Within a track you can adjust where you want to listen to with a slider. Most interviews have a photo and some some a slide show. To search for a particular subject put the search term in the “search” box at the top left of the page and press go. 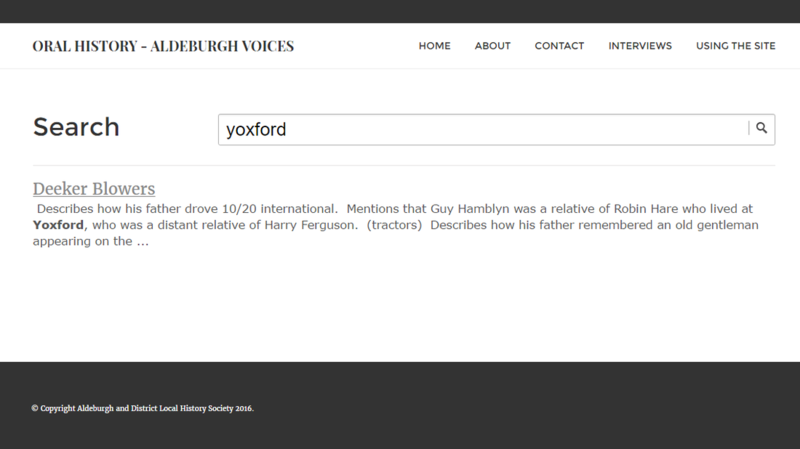 For example in the search box put “Yoxford” and press GO. You will then be given a list of the pages that contain the word and therefore the people who have mentioned Yoxford in their interview. 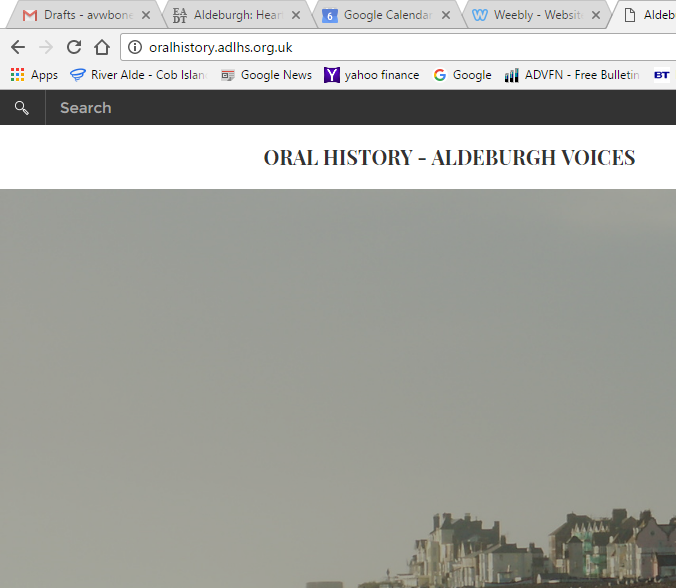 You can then click on the page you want and look at the summaries and listen to what you wish. The site search engine considers plurals to be the same as singulars so that searching for “doodlebug” and “doodlebugs” will get the same result. When you have found the page you want to look at you can search within it by doing Ctrl F in your browser.